What current events – and news headlines – are impacting my specific insurance program or portfolio? Which specific locations are likely to be impacted? Do I have global coverage for all perils, including tracking supply chain risk? How can I mitigate potential losses, and mobilize my claims team proactively? What are my estimated losses, based on current exposures, not last quarter’s modeling report? 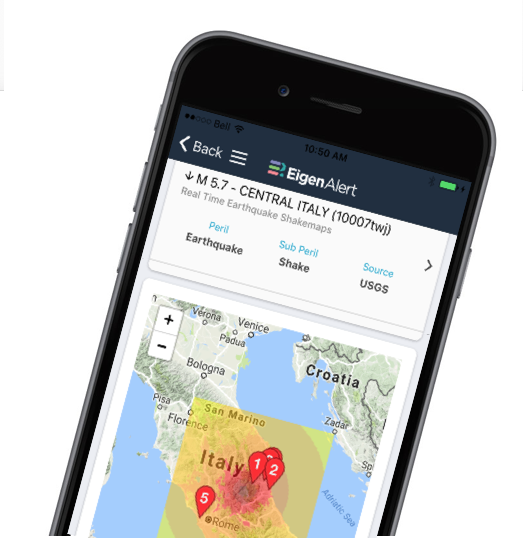 For automated event notifications delivering the information you need immediately before, during and after a natural catastrophe. As the news is breaking, you’ll have answers to the critical questions stakeholders are asking.